Create a cosy atmosphere and save money on your energy bills by choosing one of our thermal-lined curtains. It’s quite simple: thermal curtains help keep your home warm and make it more efficient to heat. That’s because thermal curtains act as an effective insulating layer, stopping the warm air inside your home from escaping outside through the windows. You’ll find chilly draughts no longer bring the temperature down too! With no warm air getting out or cold air getting in, you’ve no need to have the heating cranked up high. In fact, you can turn down the thermostat, stay cosy and save money on fuel bills. What’s more, almost any curtains in our range can have the thermal treatment. So you’ve plenty of choice. Take your pick from the gorgeous plains or go for one of the fashionable geometric, striped or floral patterns. 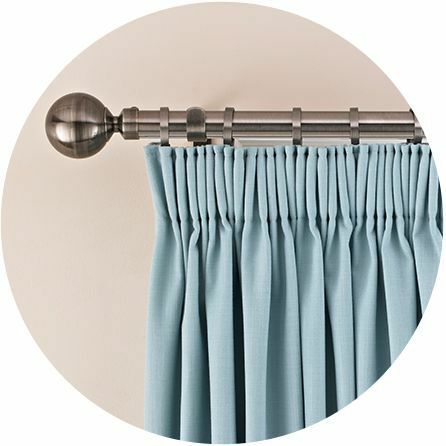 And because our designs are made-to-measure, you choose all the details of your new thermal curtains. That’s everything from the pole to the tie back to the heading, giving you a bespoke look you’ll love. 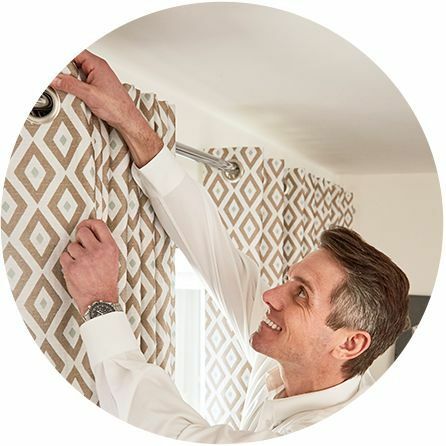 Your best chance of finding the perfect thermal curtains is by having an in-home appointment with Hillarys. One of our experts will come to you, bringing along the entire range for you to flick through. You can browse fabric samples and see how the different styles look next to your furnishings and colour scheme. You’ll also hear specialist advice and knowhow from your expert, giving you all the information needed to make the perfect choice. 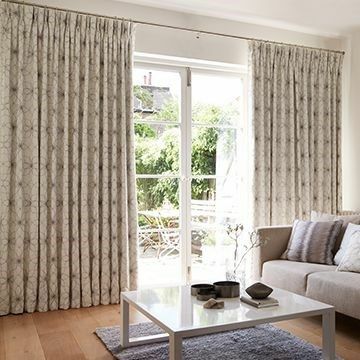 Your curtains expert will measure up too, taking away all the hassle and giving you a quote that includes fitting. Made-to-measure thermal curtains look fabulous, because they’re tailored to your measurements and choices and fit by an expert. This also helps with the insulating qualities, as the bespoke fit is super snug to the window.